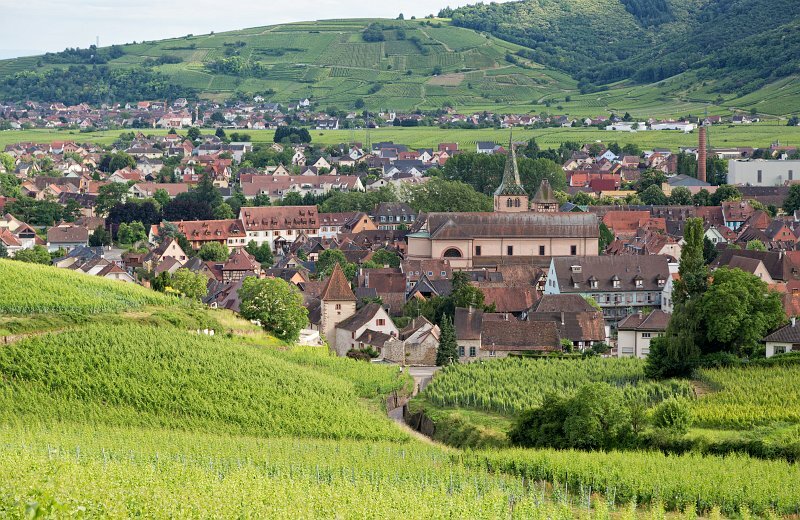 Turckheim was mentioned for the ﬁrst time in the Wissembourg charter in 743 as a winegrowing site. In 1312 it acquired the status of a town and in 1354 it became a member of the “Decapolis“, an alliance of 10 free towns in Alsace. The Thirty Years War was a harsh time for the town. After this period, thanks to Swiss immigrants the ruined and depopulated town was rebuilt in the beginning of the 18th century. The battle of Turckheim, in which Turenne chased the imperial troupes on January 5th 1675, brought Alsace back to the French kingdom.